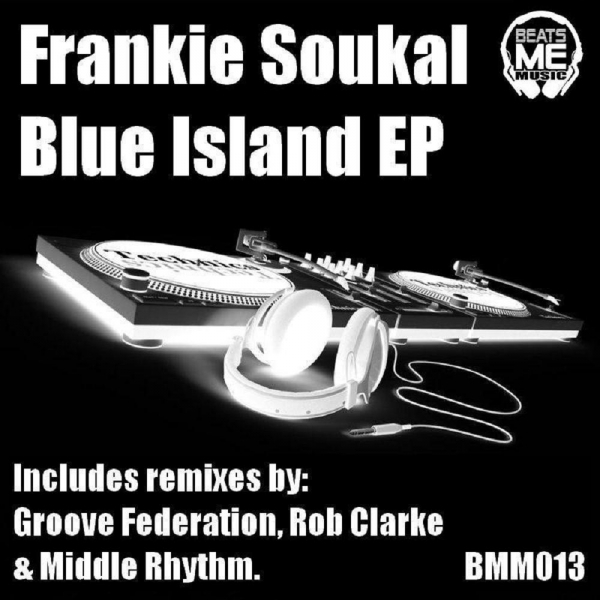 No fewer than seven tracks on offer on this EP of (in their words) “sun-drenched, deep and funky house jams” from Beats Me Music. Can’t fault ’em in the value of money stakes! 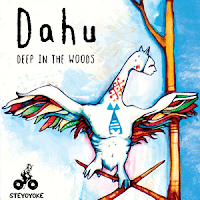 And, to be fair, it’s pretty hard to fault ’em in the musical stakes either, as this is another release from the Eastbourne-based label that’s sure to delight the more discerning (by which I hope I don’t JUST mean older!) house heads. 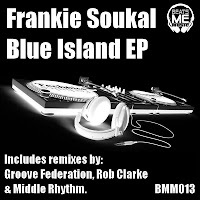 Not going to go into all seven tracks and mixes individually, but in total you get just the one mix of Blue Island itself, three of Street Signs, two of Success and one of Sunburst, with the remixes (where attributed and not just named) coming from Groove Federation, Middle Rhythm and label boss Rob Clarke. The overall vibe is indeed “deep and funky” and with jazzy bits, space disco-y bits, Balearic bits and some lush NJ garage-y bits to be found, it’s hard to imagine any deep house jock NOT finding plenty to play here, especially if your tastes veer more towards the ‘traditional’ side of deep house rather than the contemporary deep/tech sound. Classy stuff you need to check, basically. About: Beats Me Music can be found here and here (website and Facebook). And in Eastbourne, obviously. If you happen to be passing down that way. Going a little bit deeper now with this latest rather sumptuous offering from the always on-point Savoir Faire Musique. In its Original form, Quality Of Life is a chuggy, midtempo deep house/deep garage cut with a warm b-line, organs, pianos and vocal stabs… it’s just lush, basically, and couldn’t be much more up my street if it lived in the house next door. Soul Minority then defy the laws of gravity (or something) by delivering a refix that if anything is even better, a proper late-night gem for the ‘proper garage’ heads! And then finally Drift takes us more into deep/tech territory, albeit with the kind of dark room, semi-tribal feel that’s got NYC written all over it (as opposed to Berlin or, say, Grimsby)… though, that said, there’s enough musicality in its mournful low-end sax warbles to ensure it’s just as suitable for home listening as it is for dazed 5am dancefloors. All told, another excellent offering from Savoir Faire. 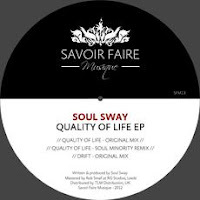 About: This is Soul Sway’s second outing on SFM – as you might recall, his Don’t Step Down EP was the label’s very first release last year. Anyway, you can find Savoire Faire Musique online here and here (website and Facebook). The weekend’s here! So now seems like an appropriate time to talk about this unashamedly old skool, good-time house cut from two latter-day house legends. You should know the track already – I reviewed it on here last year when it first came out, albeit only in one of the round-up things I think, or was it on an album? Either way I can’t seem to find the review right now but I know I did one! 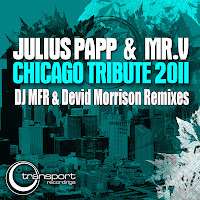 – but now we have four new mixes of it, from Devid Morrison and DJ MFR. To jog your memory, it’s the one with Mr V reminiscing about the early days of house and talking about “that sound, that freedom, that feeling we had”. Morrison’s mix adds a little tropical/Latino flavour to the track, with busy shakers and the like, but it’s the DJ MFR Deep Mix that’s doing it more for me, a stripped-down and dubby pass that throbs along nicely. Both mixes come with instrumentals, which is handy cos while I’m personally something of a fan of Mr V’s Tyree Cooper-esque vocal stylings, not everyone else is. It all adds up to a very solid bet of an EP. House music all night long. Out: This week, I’m assured… whatever the cover might suggest! 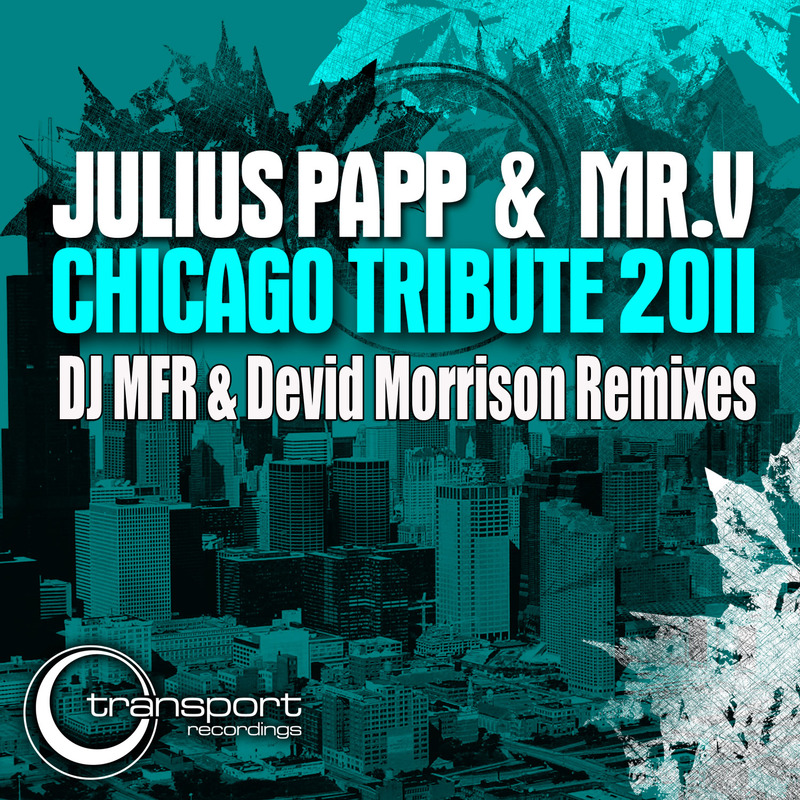 About: This comes on DJ MFR’s San Francisco-based label Transport Recordings, who should need no introduction from me! Here’s their website. It’s a bit embarrassing that this is, I think, the first time Motech Records have featured on this blog… embarrassing cos this EP’s being released to celebrate their 10 years in the game! But hey, I never claimed to know everything and everyone. All four tracks on the EP are remixes of older material but like I said… so we’ll have to tackle ’em as fresh. 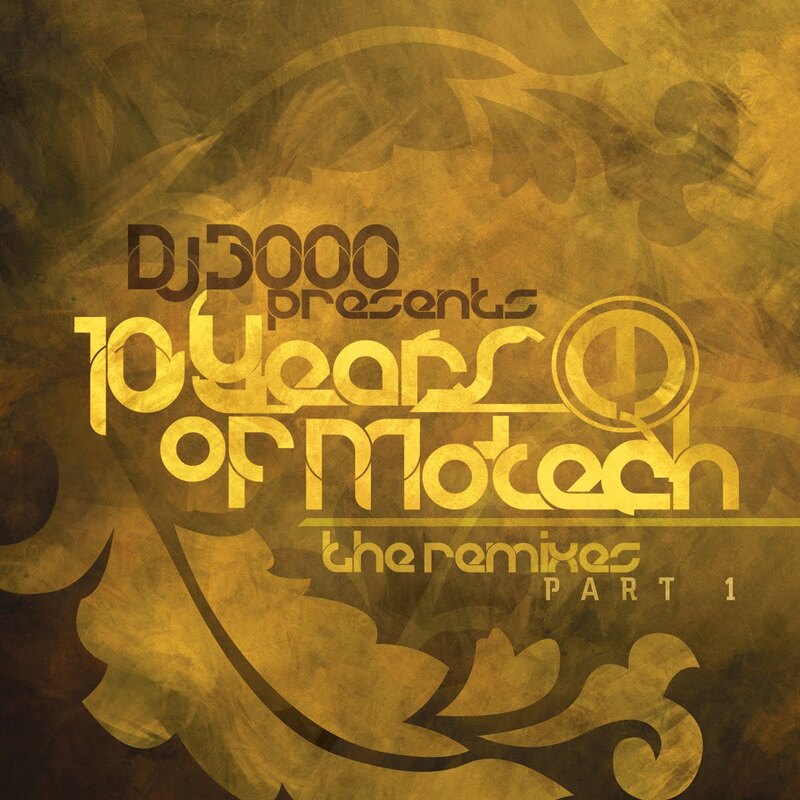 Of the two mixes of Gerald Mitchell’s Belly Dancer, I’m feeling DJ 3000’s dubby, tribal-leaning take to the Latin-infused take from Sascha Sonido, but both will find their fans. Franki Juncaj & Fer BR’s The Pressure is, as remixed by Enthousiaste Gasten, a rolling, Sneak-y discofied workout, while finally Delta Funktionen’s 808 Mix of another Juncaj cut, Moment In Time, takes us as the name suggests back to the warehouse days. Dig those old-skool drum sounds! All told, a nicely varied EP taking in several shades of house music… from a label to which I clearly need to be paying a bit more attention, eh? A full-length ’10 years’ label comp is coming later this year. Find out more by visiting the Motech website. Only the sixth release from UM Records, this features two originals from Danish producer (always with the Danes at the moment!) 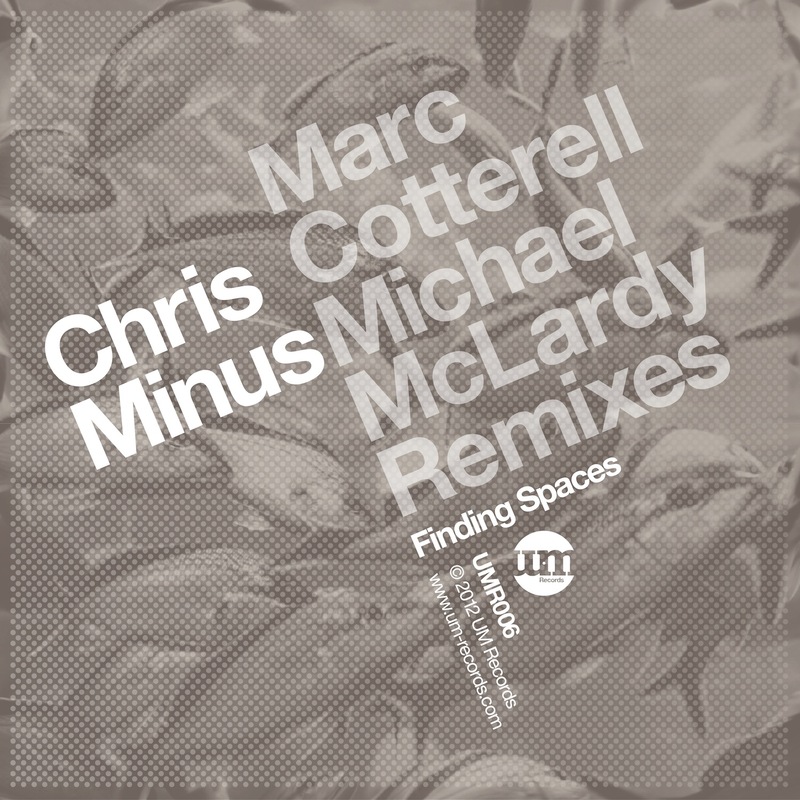 plus a trio of remixes from Marc Cotterell and Michael McLardy. “In the deepness you will find your way,” goes the vocal on Finding Spaces… which should, in and of itself, give you a pretty good idea of the kind of laidback, late-night gem to expect. Drifting Along is a little more obviously floor-oriented, with what sound like Hammond organs parping away and a whispered “Do you catch my drift?” vocal. 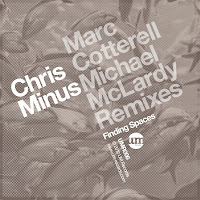 Cotterell’s Lost In Space mix takes Finding Spaces to the floor on a saxed-up, west coast-y ride, while his Late Night Mix of the same is a stripped-down beauty for the afterhours. And finally, in McLardy’s hands Drifting Along becomes a somewhat techier, drummier affair, though without losing those killer organs. From the peeps behind the excellent Deep House Facebook page, you kind of expect good things… and they deliver. 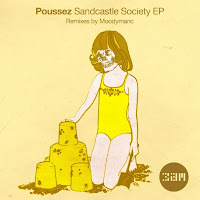 A five-tracker here from Poussez, taking in mixture of deep house and slo-mo/downtempo styles… and featuring as disturbing a sleeve as you’re likely to see all month. Brrrr. 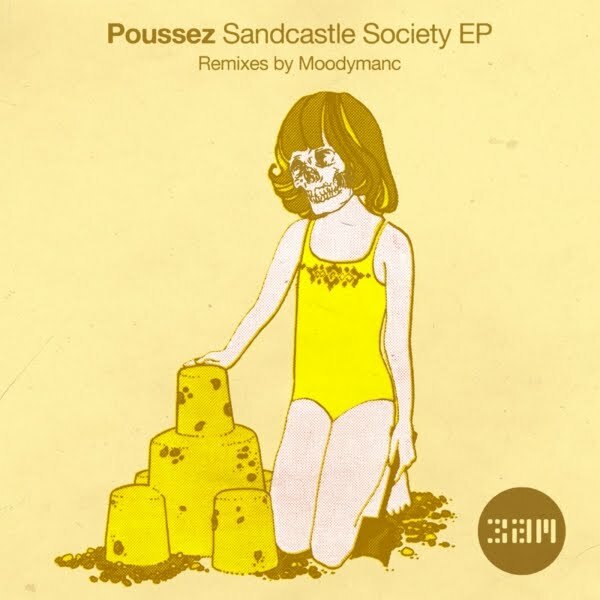 Sandcastle Society itself opens proceedings, a slow-moving deep houser with a heavily reverbed female vocal, throbbing b-line and plenty of dreamy atmos. Hairy Jaw drops the tempo yet further, being a low-slung groove with a spoken (male, French) vocal and a vaguely Balearic feel to the percussion – one for those lazy beach/poolside sessions. Hairy Jaw then gets dragged to the dancefloor by a brace of dubs from the ever-prolific Danny Ward AKA Moodymanc, his Close Shave Dub being my pick from the EP as a whole, before finally the rather peculiarly-titled Trinity Remix [Original Mix], which again is downtempo and somewhat filmic, closes out the EP. Good stuff as ever from Jafar and Maxime. Apart from the cover, which is just wrong. About: Poussez run their own label Artizan Music, but this one comes on Al Bradley’s 3am Recordings, the latest label to join an illustrious list the lads have recorded for that also includes Toolroom, Neurotraxx Deluxe, Universal Vibes and Hudd Traxx. For more info on Poussez, see their own website which features a handy player with snippets of almost everything they’ve done! Time to pick up the pace a little now with this latest from European techno stable 1605. 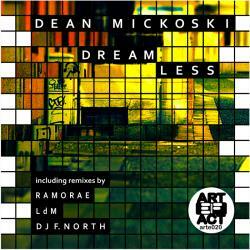 Regular readers will know I’ve long been a big fan of Umek’s house-informed take on techno… well, this is one of his housiest, dare I say it even discofied in places, efforts to date. That’s not to say it’s not plenty tough and pounding enough for the techno floors – it is, and in fact techno floors are undoubtedly where it’s gonna be most at home. But there’s no mistaking the influence of classic jacking Windy City house music in the two tracks here either. B-side How’s Your Body, in particular, comes on, to these ears at least, a little like I Feel Love reworked for Tresor in the 1990s, with a very familiar Chi-town vocal sample thrown in. Pump up the volume and listen without prejudice! Macedonian label Artefact Records don’t seem to be able to put a foot wrong at the moment… here’s their latest offering, coming from a producer who’s of Macedonian extraction but born and raised in the US of A. As with the Steyoyoke release below we’re in the deepest of tech-house territory here, though Dreamless is a fair bit more upbeat and floor-oriented than the Dahu tracks. A chopped-up soulful male vocal sits atop tuff, driving beats, heavily reverbed piano chords and more layers of atmospherics than you could shake stick at on the Original, while remixes from F. North, Ldm And Ramorae just tweak things slightly to suit different dancefloor moods without messing with the track’s overall spaced-out, 5am dancefloor feel. One to pack for those afterhours sessions. Sticking with the very deep vibes, here’s the second offering from new Berlin-based label Steyoyoke. It’s a simple two-track affair. Deep In The Woods itself is a melodic, melancholic and at times slightly menacing meander through those murky shadowlands where deep house and deep techno collide and fuse into interesting new shapes. On the B, those deep and dubby techno influences come a little more to the fore on Falun, with some tripped-out sax insertions in there as well, making this an EP that’s “4 da headz” for sure. But then that’s you, is it not? If so, you should love this! Out: This week on vinyl, you’ll have to wait till 13 April if you want to buy it digitally. A five-artist, five-track sampler from Denmark’s excellent DeepWit here, showcasing the label’s trademark subterranean house sound perfectly. The artists in question are Asona, Jonny Bee, Ejeca, Ev Darko and dEEPoint. I’m not gonna go into every track individually but suffice to say that if you dig 4/4 beats that are thumping yet unhurried… atmospheric synth washes… warm, phat yet understated b-lines… nods towards classic Chi-town deepness à la Larry Heard… and the odd garage-y vocal snippet… then you’re going to be pretty much in heaven here.